Florida Estate Planning: Are form companies like LegalZoom or Suze Orman’s Financial Security Now a good choice for my estate plan? You may have heard of services like LegalZoom and Suze Orman’s Financial Security Now through television or internet advertising. Both services advertise estate planning documents for a price that seems much lower than you may receive from going to an attorney for your estate planning needs. You may also appreciate the convenience of being able to purchase these forms for a low price, print them yourself, and execute the forms on your own time. No need to deal with an attorney (attorneys can be a pain) and you save some money in the process. Good deal right? Maybe not. A Florida estate planning attorney can provide you with value that far exceeds the additional cost over these services. In this article, we’ll explore how an attorney provides a greater value over these services, and can make sure that your wishes and assets are protected when you’re no longer around to make sure things go as you planned. What value does a Florida attorney provide in addition to the Florida estate planning documents themselves? A Florida estate planning attorney provide access to his or her knowledge and experience in addition to providing the estate planning documents to his or her client. This is something that LegalZoom and other programs cannot provide to their customers. People or companies that are not licensed to practice law in Florida cannot provide legal advice. In fact, under section 454.23, Florida Statutes, a person can be convicted of a crime for practicing law without a license. As a result of these strict penalties, legal form companies are careful not to provide legal advice to customers. When you hire a Florida estate planning attorney you are paying for that attorney’s knowledge and experience, in addition to the documents that you receive in the end. Attorneys are able to advise you on ways to keep your assets out of probate so that assets are automatically transferred to your loved ones after your death. An attorney will be able to look out for issues that may arise in a Florida probate case with your estate plan and will be able to help you plan to minimize the issues that will arise for your loved ones after your demise. For example, at Richert Quarles P.A., we assist clients with estate planning, probate, and probate litigation. Our experience in these practice areas allows for our attorneys to know what happens when an estate plan is drafted incorrectly. We know the hardship and additional expense loved ones are required to endure when there are conflicting estate planning documents. We also know the dangers of undue influence and how to craft and execute an estate plan that minimizes the risk of an undue influence claim in the future. An attorney will be able to look for issues and provide solutions in your estate plan that you may not even know about. What potential problems may arise with my Florida estate plan if I get it through a legal form service? There are two major problems that we encounter with clients or decedents who have created Florida estate plans through LegalZoom or another legal form company. First, the person’s estate plan is not designed to accomplish what the decedent or client wanted to accomplish with the estate plan. This can happen in a number of ways. If a person owns shares in a closely held corporation or owns a single member limited liability company, the person may not understand what occurs with the shares or ownership interest at the time of his or her death. Additional problems with businesses is that the person does not plan to have someone take over the operations with the business in the event of his or her death. When that person passes away, the person named personal representative in the will is saddled with the responsibility of not only administering the probate case, but also with operating the businesses until the ownership interests can be transferred to beneficiaries. Other issues can arise when a person requires a personal representative to use the assets of the estate to accomplish certain tasks. In these cases, the estate often does not have liquidity to accomplish the tasks or the person could have accomplished the same tasks using estate planning techniques keeping assets outside of probate, such as a revocable trust. When these events happen, it adds stress to the personal representative and increases the cost of administering the Florida probate estate. The second issue we see are defects with the documents themselves. Commonly this occurs with Florida durable power of attorney documents. For example, in 2011 Florida law changed, in section 709.2202, Florida Statutes, to require a principal in a durable power of attorney to initial next to several identified “superpowers.” If these powers are not initialed by the principal, the agent does not have that power and may not be able to assist the principal in the principal’s time of need. In these cases, the principal must execute a new Florida durable power of attorney that includes the initialed powers. Surprisingly, even after seven years, we still find power of attorney forms that lack these critical elements. At Richert Quarles, P.A., we encounter this problem often in our medicaid planning practice area, where clients who need Medicaid to pay for a nursing home require a new durable power of attorney to be executed in order to qualify for Medicaid. If you are permanently disabled (such as if you are unresponsive after a stroke) and you do not have capacity to execute a durable power of attorney, the only alternative for your loved ones will be to create a guardianship to take care of you. Therefore, it is important that your durable power of attorney is up to date with the latest Florida law. Another example of deficient estate planning forms that is encountered is improperly executed wills or conflicting wills. A will can have two provisions that are in conflict. A will may be created but does not revoke all prior wills, resulting in multiple wills in existence with conflicting provisions. Also, more rarely, a will cannot be executed properly. In Florida, a will needs to have two witnesses to the execution who witness the will signed by the testator (the person signing the will) and are with the testator at the time the will is signed. This is required by section 732.502, Florida Statutes. Sometimes a will is not witnessed by anyone. In this case the will cannot be admitted to probate and the decedent’s assets pass according to the intestacy statute. If your will is not executed correctly, it may not even be admitted to probate in Florida and your wishes cannot be followed by the Florida probate court! Therefore, it is extremely important to make sure that your will is executed correctly so that you are sure it will work when you need it. But wait, what about a revocable trust? Is this something that is right for me? One other area that we see marketed by legal form companies are the benefits of a revocable trust. It is certainly true that in some situations a trust is a good decision for a client completing his or her estate plan. Trusts are especially helpful when you have many valuable assets and want to avoid the time, stress, and expense of Florida probate. However, if all that you own is your house and a couple of bank accounts or investment accounts, a trust may be overkill. A will may be all that you need in this situation. When you have a trust you need to fund the trust and make sure that your assets are titled, making the trust the owner of the asset. If the asset is titled incorrectly, the asset may not be part of the trust, which then will require the asset to pass through probate. Thus, if assets are not titled correctly, you lose all of the benefit of having a trust. Our attorneys are experienced in drafting trusts for clients and assisting clients with funding or administering the trusts. Our attorneys will make sure that the trust that you receive does what you would like for it to do and is executed correctly. Most importantly, our attorneys will give you clear instructions on funding your trust and we can also draft deeds and other documents required to transfer assets into the trust. If you have any questions about funding your trust, your attorney is always a phone call away. If you want to talk to an attorney about creating a Florida estate plan, contact us today for a free consultation. If you would like to proceed with an estate plan or have questions about whether a trust may be right for your situation, contact us today for a free consultation. At the consultation, one of our attorneys will meet with you, review your current estate plan if you already have one, and discuss what is involved in making a Florida estate plan. If you would like to hire our firm, we will provide unlimited drafts of the estate planning documents to make sure that the documents accomplish what you want to achieve. 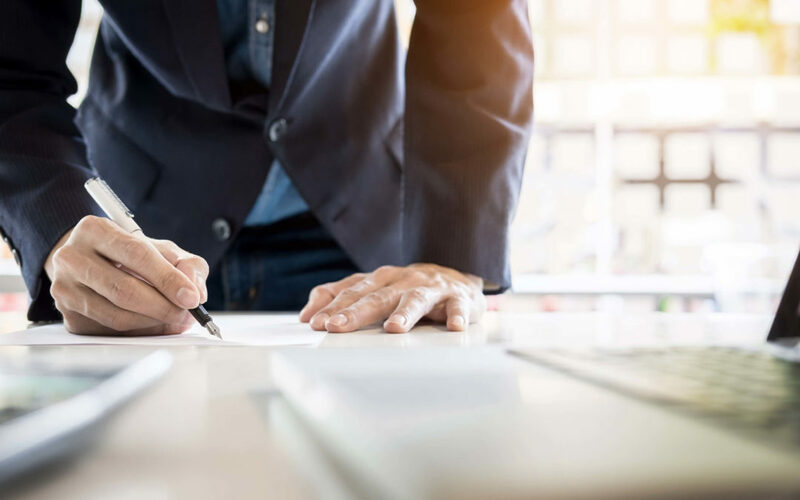 Once you approve of the drafts, our attorneys will supervise the execution of the documents at our office so that you will be sure the documents are executed correctly and in accordance with Florida law. Contact us today to schedule your free consultation.